Define the relationship between a building’s sustainability and the health and performance of the building’s occupants. Explore how wood was used to enhance the experience of building occupants in projects from around the country. The objectives of sustainable design are broader than just environmental effects, having come to embrace issues of human health and performance. As sedentary and service-related work becomes more prevalent in our society, the amount of time people spend inside buildings increases—the average North American spends 90 percent of his or her time indoors, another 5 percent in cars and only 5 percent outside. This not only makes the design of building interiors ever more important, but calls for the buildings themselves to provide a connection to nature that will only get harder to come by. “This is one of the most overlooked aspects of sustainability. It's not about the points. 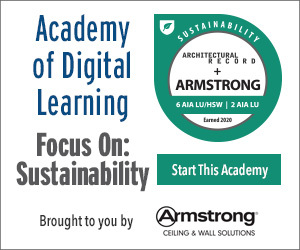 It's about designing places where people want to be,” says Marc L'Italien of EHDD, discussing the LEED Platinum-certified David and Lucile Packard Foundation Headquarters, one of the innovative projects featured in this course (see page 7). Wood has been extensively researched and shown to be sustainable by measures that include renewability, embodied energy, air and water pollution, and carbon footprint. But it also performs well in areas that are essential to occupant comfort and performance, resulting in spaces where people feel good and do well over long periods of time. 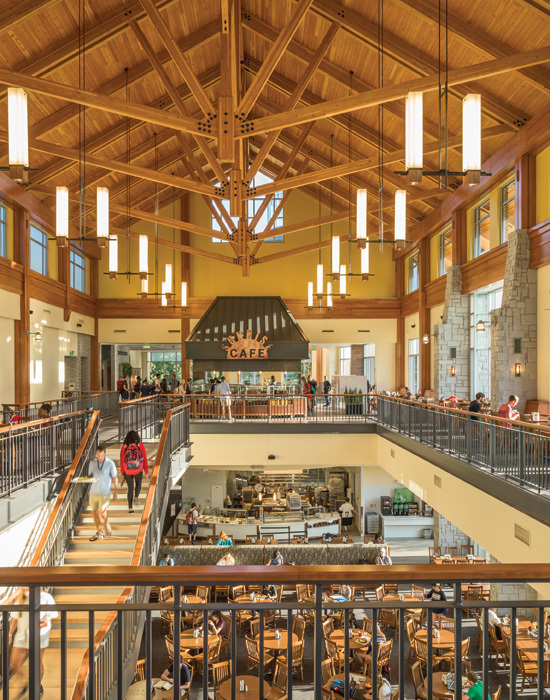 In this 50,000-square-foot dining commons, Douglas-fir structural roof decking and truss timbers respond to the client’s desire for natural materials that evoke feelings of warmth and comfort, have visually appealing textures and patterns, and resonate with students and staff.